The last remaining soldier in the Market, that once promised us a Ferry Building-style experience atop Santa Monica Place, has finally found a new home. 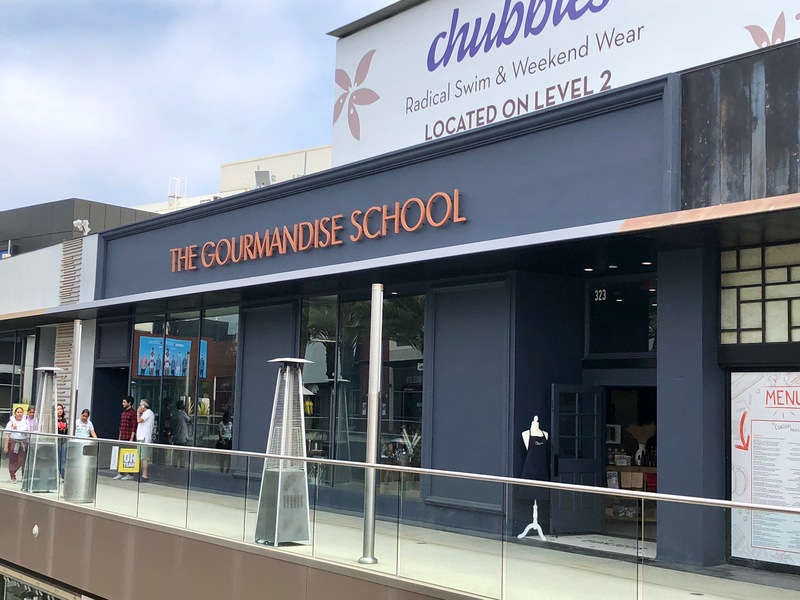 The popular culinary academy The Gourmandise School has now opened in their elegant new space across the way, next to the also recently relocated The Curious Palate. And what of the Market at Santa Monica Place? As I’ve already told you, it looks poised to become a children’s museum, thereby completely extinguishing any further gastronomic hopes. Back in August of last year, I told you about a sign of hope in the risky restaurant scene on the third floor of Santa Monica Place. 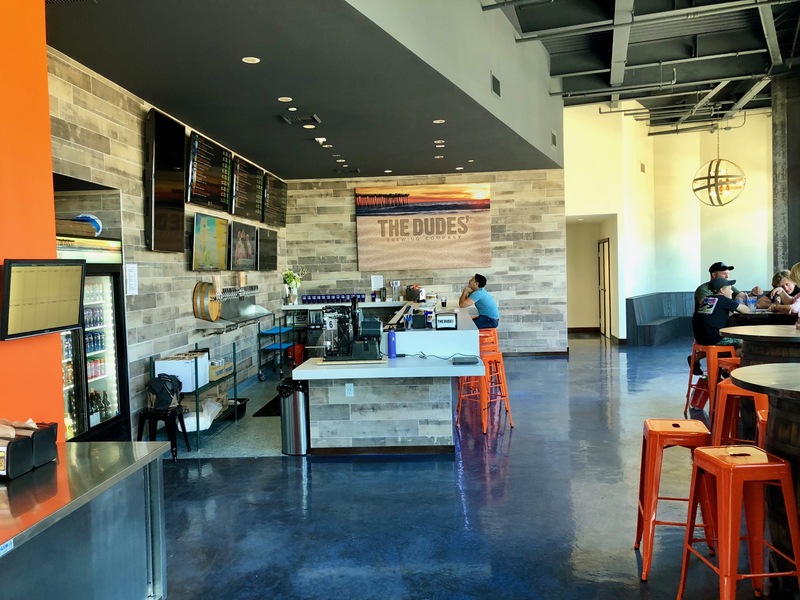 An ABC application let us know that Torrance’s The Dudes’ Brewing Company was taking over the commodious space once occupied by Pizza Antica. 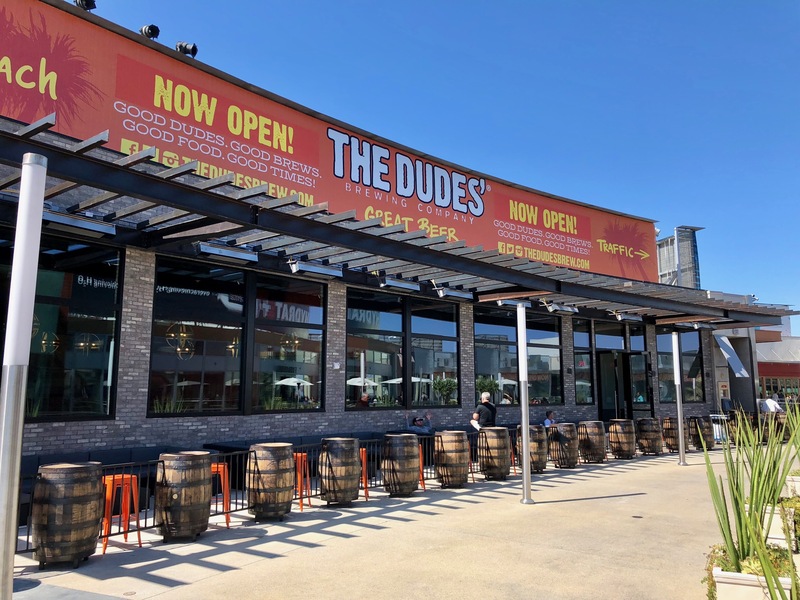 So, for all you who have been patiently waiting and checking for updates, I deliver this happy news: The Dudes’ officially opened its doors last week and is now supplying craft-brewed suds and pizza to the good people of Santa Monica. Still more signs of trouble for the consistently sputtering food scene in Santa Monica Place. It appears that another of the concessions on the third floor has disappeared. CrepeMaker has unceremoniously vacated its food court location. 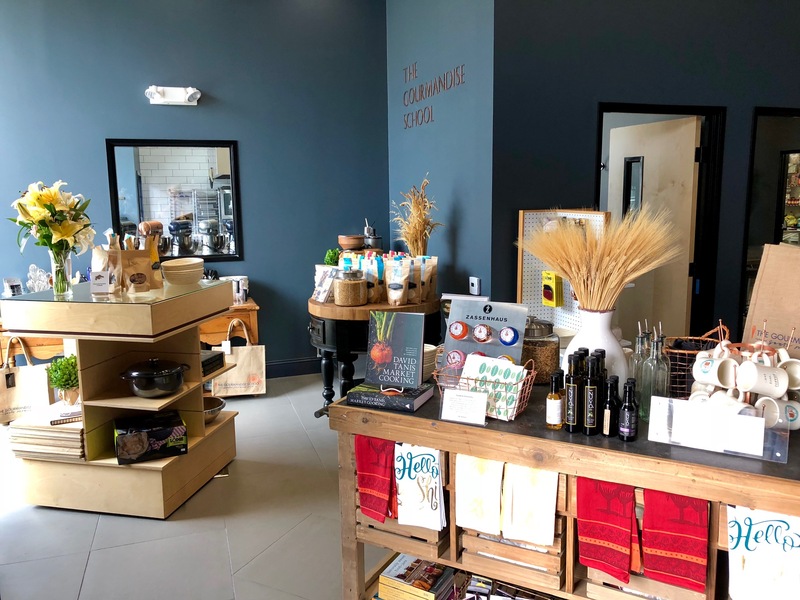 In other news… If you were hopeful that the failed The Market space might return with the promise of a new food venture, I’m afraid your hopes are about to be dashed on the rocks. In case you haven’t heard, the space is being converted into the Zimmer Children’s Museum, at least according to the new window displays. Perhaps the Dudes’ Brewing Company, currently under construction, will breathe new life into the third floor. 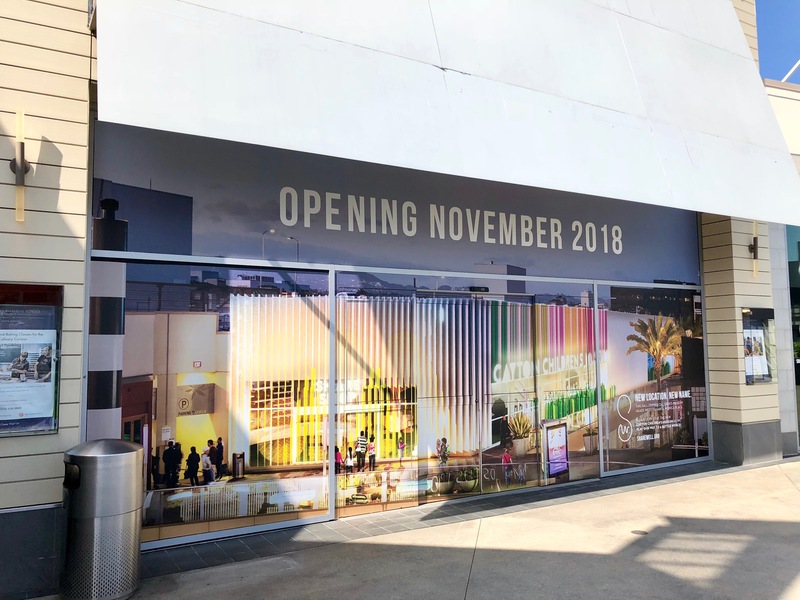 The food scene in Santa Monica Place is as mercurial as ever… A banner affixed over the top of the old sign informs us that Fresh Healthy Café has transformed into Sensible Seasonal Healthy Food. 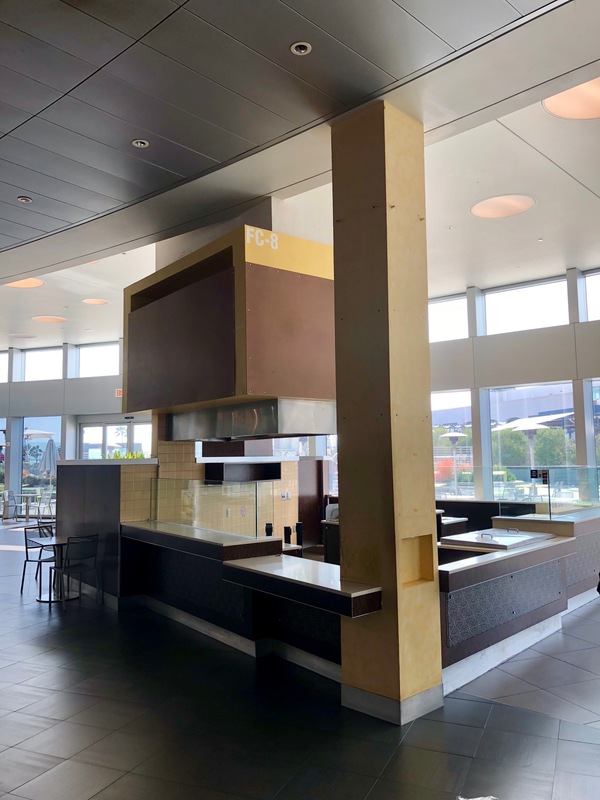 Expect a similar menu of smoothies, bowls, salads, panini, and wraps at the free-standing food court lunch counter. 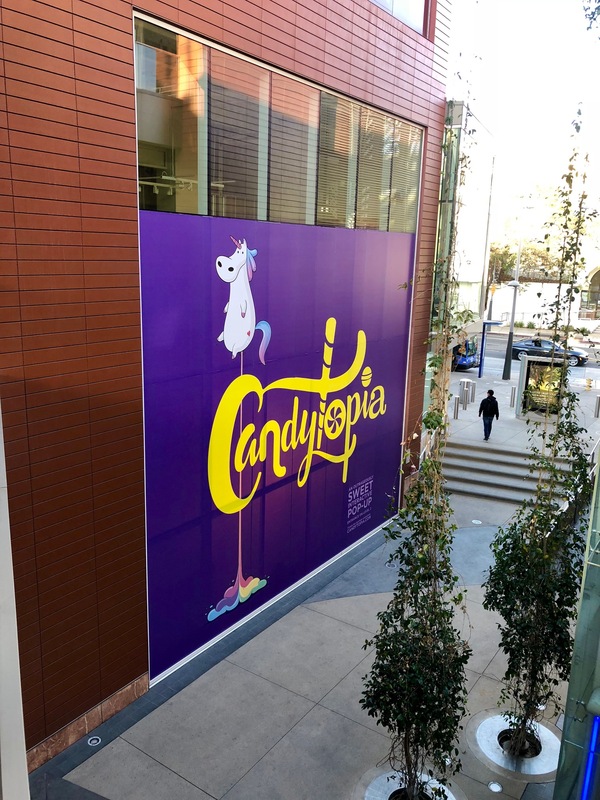 Self-described “outrageously sweet interactive pop-up” Candytopia opens tomorrow (Friday March 2nd) in Santa Monica Place. The exhibit, brought to you by Hollywood “Candy Queen” Jackie Sorkin and described to me by an employee as “an immersive art [experience] made out of candy”, will run for four months. And yes, you will be eating candy. Read more about this spectacularly creative pop-up and get tickets here. I noticed recent activity at the in-store restaurant on the third floor of Santa Monica Place’s outpost of Nordstrom. 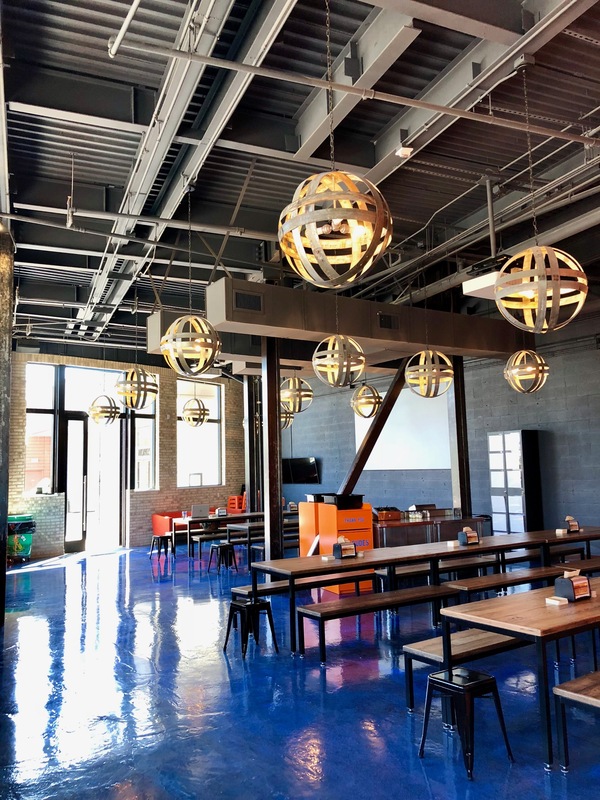 It appears that what was formerly Blue Stove is transforming into a “casually sophisticated” bistro, Bazille. It looks like they’re not too far from opening, but until then, you can compare menus here.